I'm all about "easy" clothes right now. 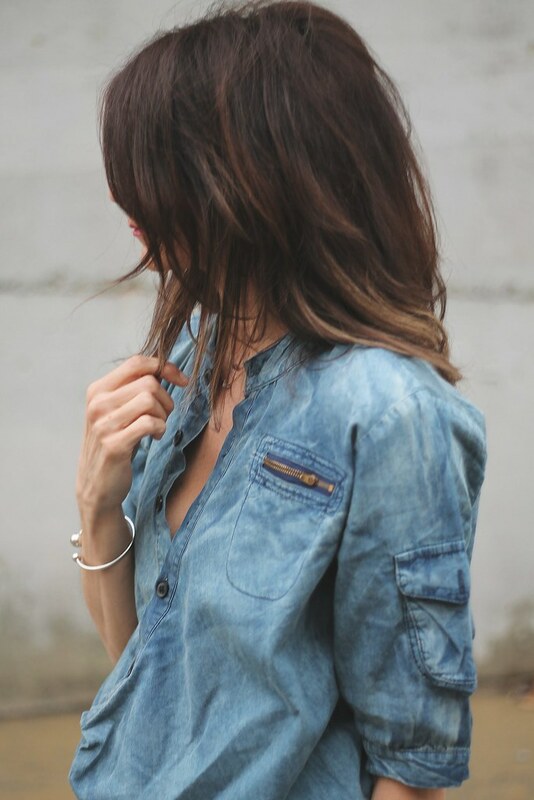 Just one simple great piece, like this slouchy denim dress, the perfect flat, and I'm out the door. Bloglovin . Facebook . Instagram . Pinterest . This entry was posted on Wednesday, April 2, 2014 and is filed under asos,blue,denim,PERSUNMALL,white. You can follow any responses to this entry through the RSS 2.0. You can leave a response. Lovely post! The shoes are amazing!!! Nice one, shoes are fab! I've been checking them on Asos too! Those shoes are so cool! I'm all about easy peasy too, great outfit! such a cool dress, is the waist tie sleeves? great pieces! loving the ease of this look! @Lauren..yeah,, they hang down or you can tie them! Love your simple and casual outfit! I love this simple and chic look! So modern and fresh! This dress looks like one of those pieces that you will wear again and again and again. LOVE the fit and drape....perfect deconstructed ease. Nice and simple. It's perfect! Cute, I love your shoes!